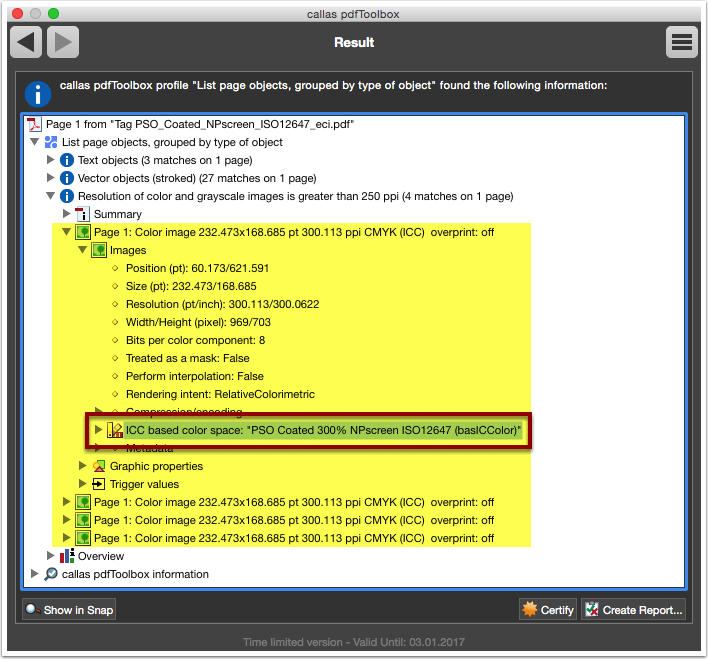 pdfToolbox has the functionality to replace ICC profiles. 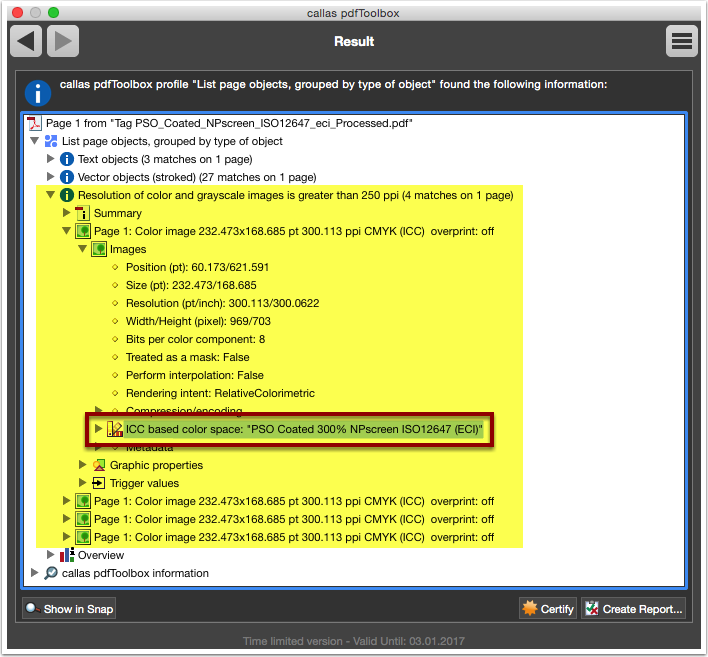 This tutorial shows how to tag four color images with different ICC source profiles to one existing ICC profile. 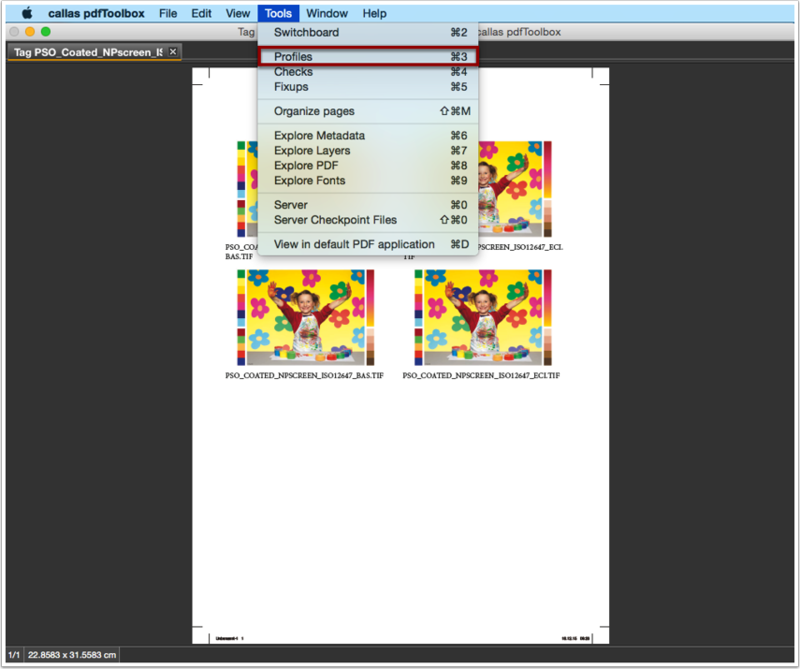 That is only possible when the same color space is used (DeviceCMYK or DeviceRGB) in the PDF document. 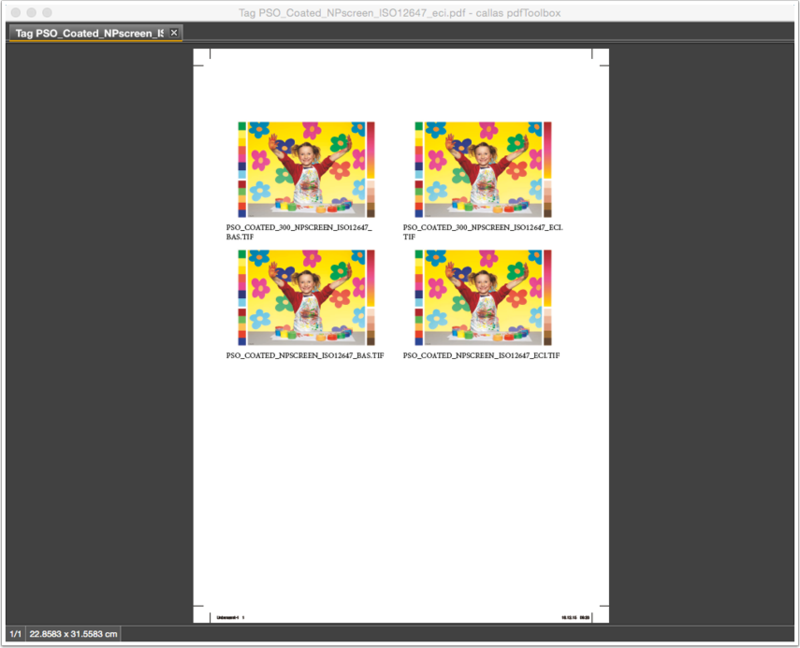 The PDF document has four images, each with their own ICC source profile. 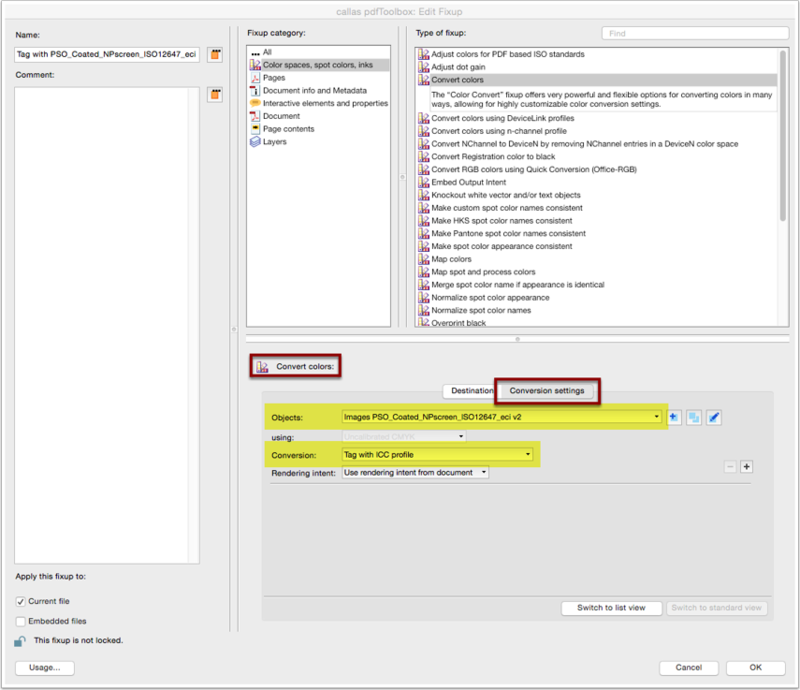 The predefined PDF analysis profile "List page objects, grouped by type of object" provides the user PDF object information. It can be executed to get text, vector, image, ... information used in the PDF document. In the original attached PDF document the image in the top left has the ICC source profile "PSO Coated 300% NPscreen ISO12647 (baslCColor)". Click on the Profile action button. 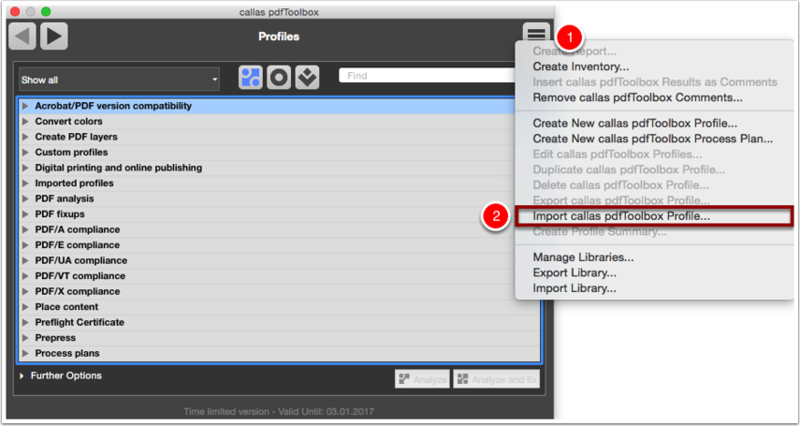 Choose "Import callas pdfToolbox Profile". Select the Profile "Tag PSO_Coated_NPscreen_ISO12647_eci.kfpx". In search field search to "Tag PSO_Coated_NPscreen_ISO12647_eci". 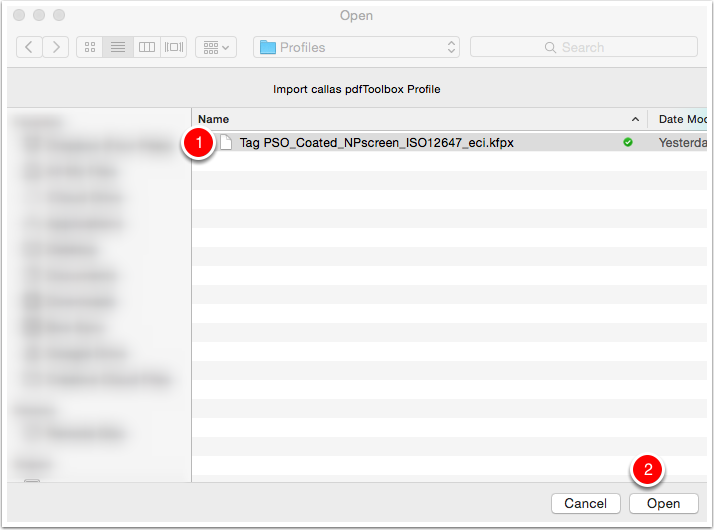 Select the "Tag PSO_Coated_NPscreen_ISO12647_eci" Profile. Click "Edit" to analyze the imported Profile. The Profile has one custom Fixup "Tag PSO_Coated_NPscreen_ISO12647_eci". 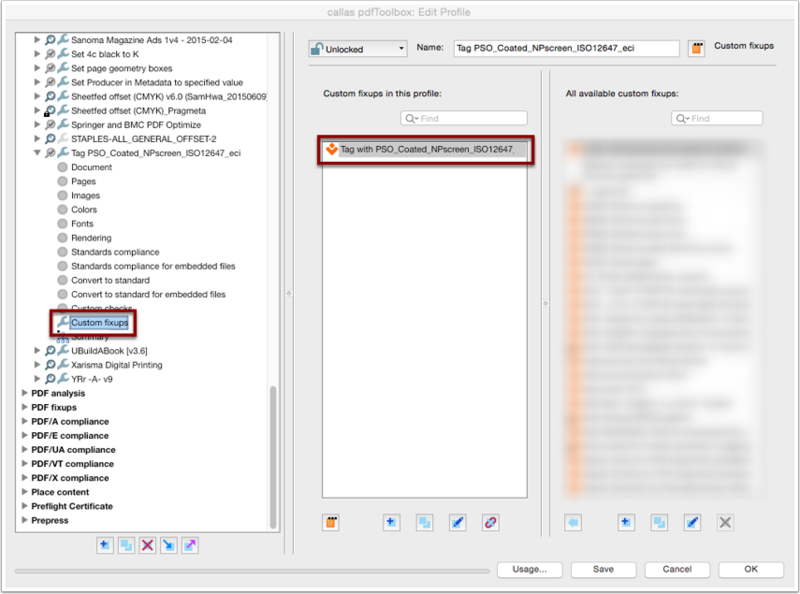 Analyze imported Profile: Custom fixup "Convert colors"
Click "Analyze and fix" to apply the Profile on the PDF document loaded in pdfToolbox. 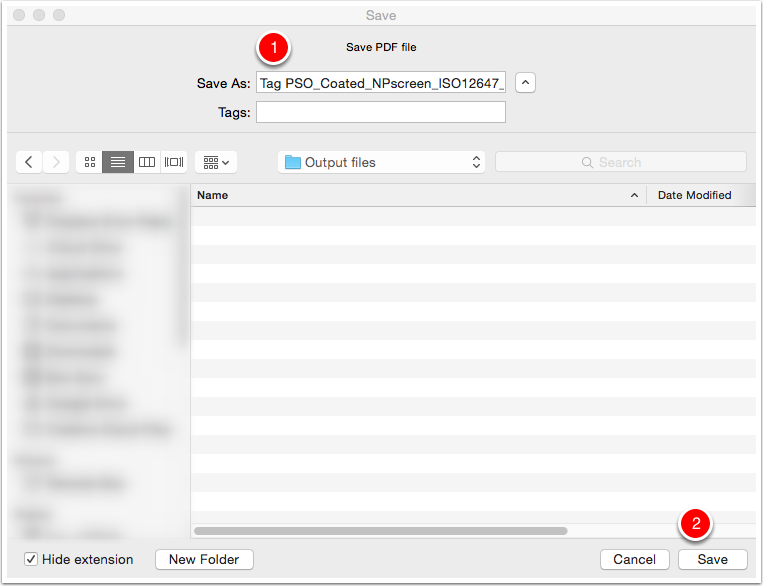 Save the output PDF document as "Tag PSO_Coated_NPscreen_ISO12647_eci_Processed". 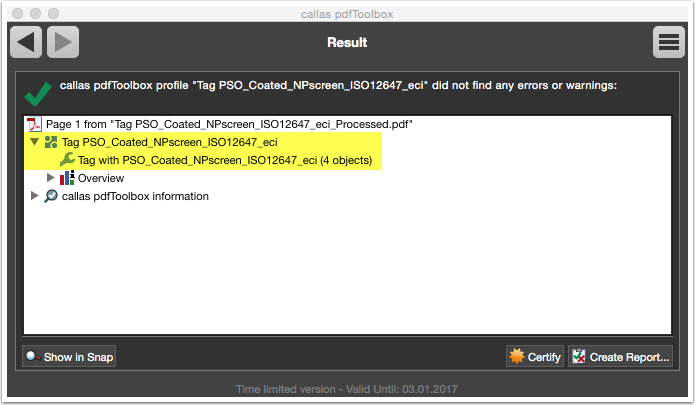 The ICC source profile of the four images are replaced by the existing ICC profile "PSO Coated 300% NPscreen ISO12647 (ECI)". 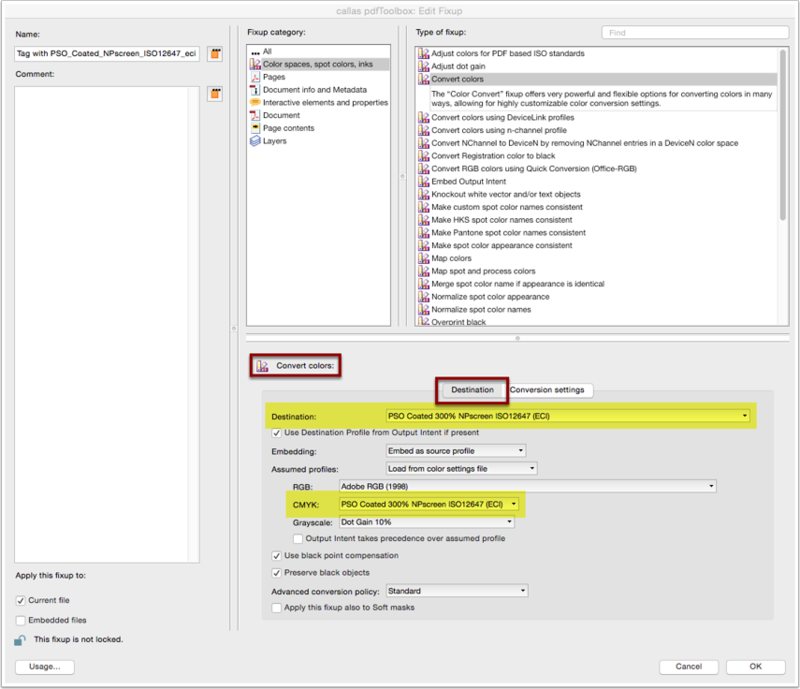 The image in the top left has the ICC profile "PSO Coated 300% NPscreen ISO12647 (ECI)". The same for the other images in the PDF document.